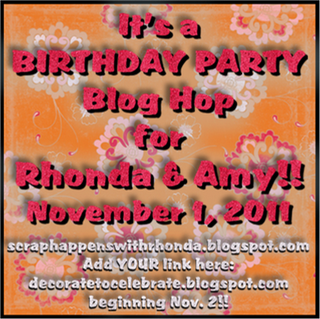 Sherrie Scraps with passion: Rhonda & Amy's Birthday Party Blog Hop!! Rhonda and Amy have assembled a few of their creative friends to join them on this Birthday Party Adventure through Bloggie-Land... Along the way, you'll find some incredibly creative projects to celebrate Rhonda and Amy... 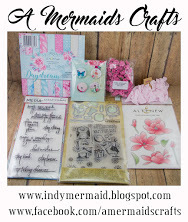 If you came here from Liz at http://mywhichcraft.blogspot.com/, then you are in the right spot!! If you have just happened upon my blog, I'd love for you to join the PARTY so CLICK HERE to start at Rhonda's Blog (http://scraphappenswithrhonda.blogspot.com/) so you don't miss any of the FUN!! My first project: Happy "50th" Birthday Rhonda- you cool cat!! I cut the cat from the Nifty Fifties cartridge at 4". The crown is cut from the Once Upon a Princess cartridge at 3/4". I found this big polka dot ribbon in my stash that I think matches up perfectly. The sentiment is from SU-cool cat set. My second project: Happy (???) Birthday Amy-Still young at heart!! The card base is 5 1/4 x 5 1/4, the base layer at 5". The pattern paper is from Colorbox. I cut this jammin girl from the Rock Princess cartridge at 3 1/3 plus the layers. I used a fiskars border punch to created a lacy border and tied it with some pretty crinkle ribbon from My Craft Spot . I also made a rosette from the pattern paper I was using and added a paper flower and button, also from Colorbox. I am not sure if you can really see it, but I embossed the paper flower with the Divine Swirls folder. The sentiment is from My Creative Time ~Many Greetings set. Here's the entire line-up!! You'll finish up at http://decoratetocelebrate.blogspot.com/ where you'll be able to start entering YOUR Birthday Party projects for a chance at some Birthday Prizes tomorrow!! 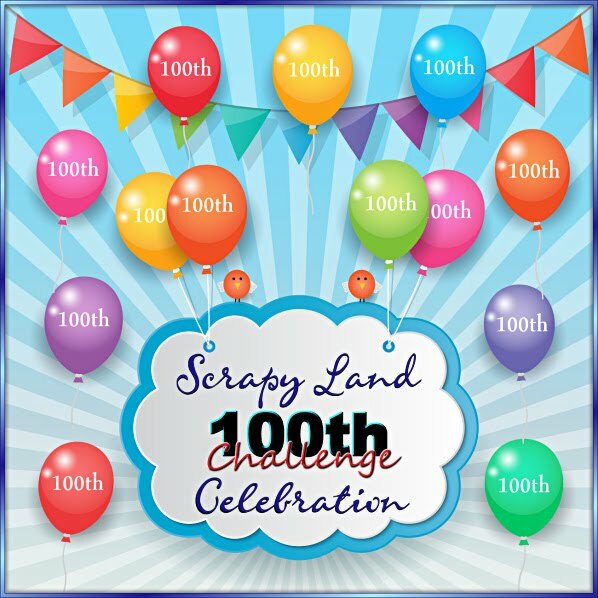 This challenge will last ALL month long, so we hope you'll join us for the CELEBRATION!! Thanks for checking out my project, your next stop will be.............. Cally Ann over at http://callyanncraftycreations.blogspot.com/ : however, before you go, be sure to leave a comment on all the participating posts so that you'll be entered to WIN the GRAND PRIZE!! I will choose a winner, via random.org and post the winner on Fri Nov. 4th****Please note, due to shipping I can only accept USA & Canada entries. Wow, Sherri!!! You did an amazing job on the cards. They are both soooooo cute! But, my apologies to Amy too because I love Rhonda's card. Great job, my friend!!! Happy hopping with you! Sherri, you really do create with a PASSION! These cards reflect how creative you are and how much you care about Rhonda & Amy. Seeing cards like these, totally makes my day and fills me with creative inspiration. I'm not picking favorites because they both are awesome, unique designs!! TFS and for the super duper embossing stuff...can't wait! both cards are sooo cute!!! Fabulous cards Sherrie!! Love that cat. 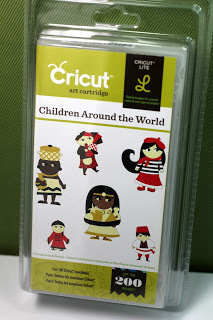 You are awesome your cards are always so beautiful I just love coming to visit your blog. YOu did a great job for Amy and Rhonda. great cards. tfs. i'm a long time follower. happy birthday to rhonda & amy. What fabulous cards Sherrie! Both are just so neat! Great color combos for both cards! Looks like a fun hop! Have a great day! These are so super fun! Love the cat and the great paper on the rockstar! Awesome! Its been fun hopping with you! 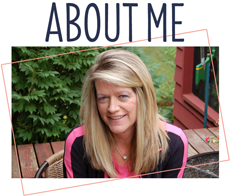 I am a follower ~ love your blog and all the ideas I pick up there! wonderful cards thanks for sharing. im a follower. Your projects are gorgeous as always! Thanks for the chance to win! and following, love meeting new bloggers and following. those are so beautiful!! I love them!!! These are both so great Sherrie! I don't know either of these ladies personally, but from their blog personalities, these cards seem to fit perfectly! I love the little crown on the cat - so creative and that ribbon is gorgeous! That rocker girl - I just love everything about that card! I am already a follower of your cute blog. Love that cute kitty. and I'd love to win. I'm a follower and I'd love to win. If I do you can reach me at reen_62448 at yahoo dot com. Gorgeous cards Sherrie! You added so many pretty details! Love both! Happy Birthday to Rhonda and Amy. Amazing Cards Sherrie. I love both of them but the 2nd one is my absolute Fav. Wonderful Job like always. What fabulous projects! I especially like the cat card - mainly because we have a black cat who is all attitude, just like the one on your card! Sherrie - I'm so excited that you'll be on the FCCB team!! How exciting! You've got such fabulous talent and I'm always thrilled to see your projects! Sherrie- Love both cards! You knocked it out of the park! I love the color combos on both of the cards! OMG! Your cards are awesome. I love the big bow on the cat card and the paper you used for Amy's card is the best. oh my Rhonda and Amy are going to LOVE these! love the colors on Amys! So cool- and So glad I got to hop with you!! Love the cards very nice! Thanks for sharing and i am now a follower! Thanks for giving out some candy! Love your blog! fabulous cat card - wow! I super love both your cards! that cat is so gorgeous and so fun girl playing the elect guitar. I'm your newest follower. Great job on the cards. I love the rosette with the flower, so pretty. Visiting from Decorate to Celebrate. Like the bows. Ooh! Love the red ears on the cat!!! This happy birthday picture looks fantastic! Thanks for sharing. Interesting birthday imagebirthday image my dear. These pieces go nice together for the topic. Thanks for sharing this marvelous post.